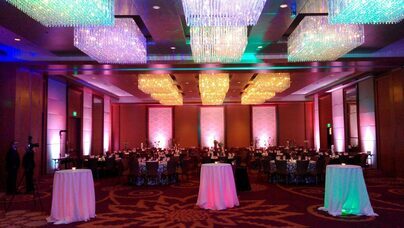 Event Lighting is our specialty! Decorative lighting, when done right, can take an average, ordinary or bland space and turn it into a AMAZING space full of color and ambiance! 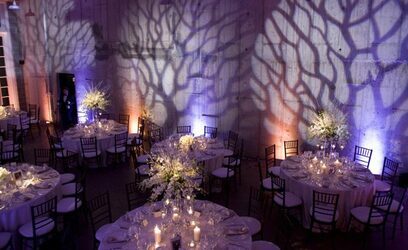 Event decor lighting design is also the most affordable way to transform your event space - making it unique to YOUR event. 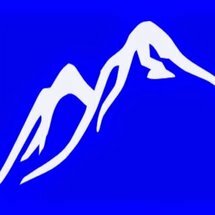 Colorado Event Productions can "create" decorative lighting environments for our clients that make your "event dreams" come true! We can transform any space to fit your personal taste, style and vision! The possibilities are almost endless! Lighting is the perfect accent and decor for Weddings, Fundraisers, Corporate Events, Private Parties, Conventions, Bar & Bat Mitzvahs, Marketing Events and any event where a custom room transformation is needed! You do not even realize you need it until you see it - and now you know what was "missing" from your room's decor! Accent lighting changes everything! ADD color or CHANGE the color of any room with accent lighting, color washes (Full Room Color, Ceiling Color Wash, Wall Color Wash) or up-lighting. 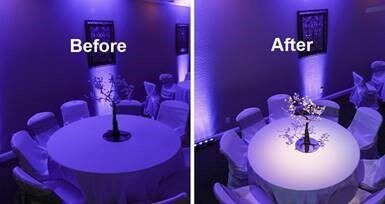 Any color wash lighting or up-lighting (available in wireless up lighting or outdoor options) can be set to any color(s) of your choice to match your theme or decor! Change the color on the Walls, Ceiling, Fabric Decor or Accents or the color of the full room! Bistro Lighting, Strand Lighting, String Lighting, Market Strand Lighting, Globe Lights or Twinkle Strand Lighting is LED Lighting available for the perfect decor addition to any event! Indoor inside any or Outdoor in any space or tent! Our String Lighting is commercial grade with Edison String Light Vintage Bulbs...transforming your space into the bistro look! Elegant, Romantic or Rustic, Bistro Market Strand Lighting changes the look of the space to suit your taste and vision. Bistro Lighting can be used indoors or outdoors for not only for decor, but also as functioning lighting for your event! Add our Chinese Lanterns to your string lighting for an extra effect look! Festoon Lighting is the latest in LED Color Bistro Strand Lighting! 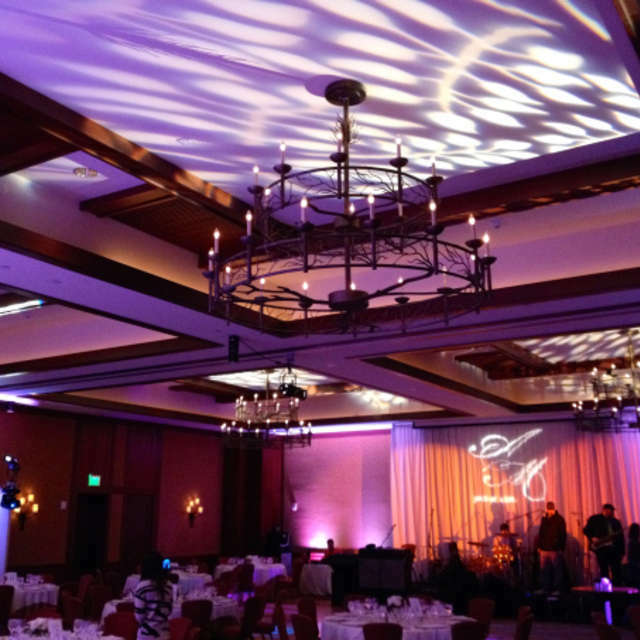 Control the color(s) and even the pattern of the color changing bistro lights at your event! One of our favorite ways to change the look and "Texture" of the walls, ceiling, floor or full room effect - anywhere you choose! Texture Images change the look or design of the entire room! These images are cost-effective decor to add life, color, shape and design to any room! These are great for event theme decor and design! Texture Image Design adds Elegance to a Wedding, Snow to a Holiday Party, Design to a Tent Rental and more! Contact Us with your theme or ideas (simple or custom) and we will be happy to show you the possibilities of Event Lighting Design! We love GOBO Images! With many stock projected images that can fit any theme - or a custom monogram made just for you (Wedding Monogram, Business Logos, Themes, etc), GOBO Images are a perfect way to add your personal flair to any room! 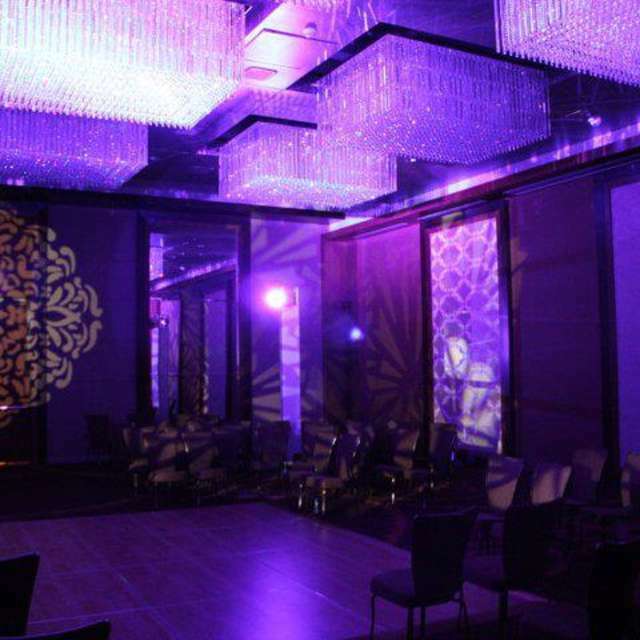 You will LOVE intelligent lighting and it's design effects at your event. 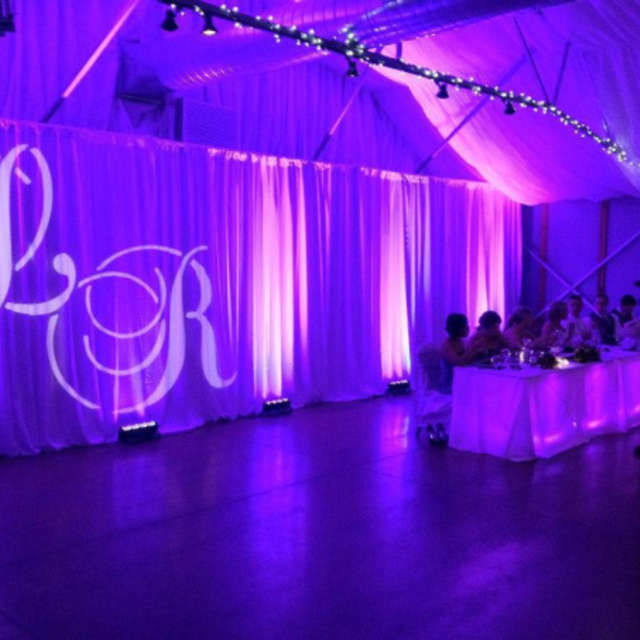 Intelligent Lighting is lighting that is completely controlled by a trained lighting technician - every move, color(s) and even shape (monogram images can move around the room)! 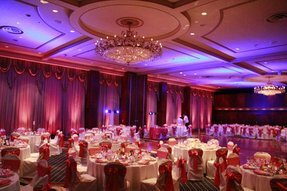 Intelligent lighting is a combination of color wash, spot lights (follow spot), texture/GOBO images and more! Motorized lights are mounted on warm light Truss columns. 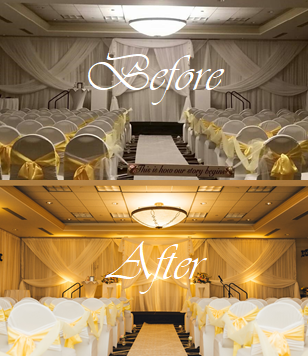 In other words - we control the lighting to suit your event and YOU! One of our favorite decor lighting features - Indoor or Outdoor, these balloon lights are amazing! 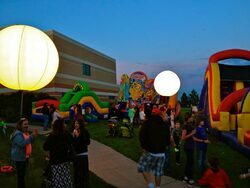 5' Sphere Light that is adjustable height and stands between 6-12' tall. Both visually appealing and functional, these are great for event decor and to add soft light any space or large area! These balloon sphere lights go from elegant to industrial - in any setting! 5' Globe Balloon Light is also available! Another great decor piece to match your theme! Pin Spot, Table Lighting and More! Pin Spots and/or Table Lighting illuminate and highlight your centerpieces, cake, tables, head tables and more! It's hard to tell the difference until you see it! When you spend so much time, energy and money on your centerpieces, cakes and special tables - why not accent with lighting to show and highlight how special they really are! 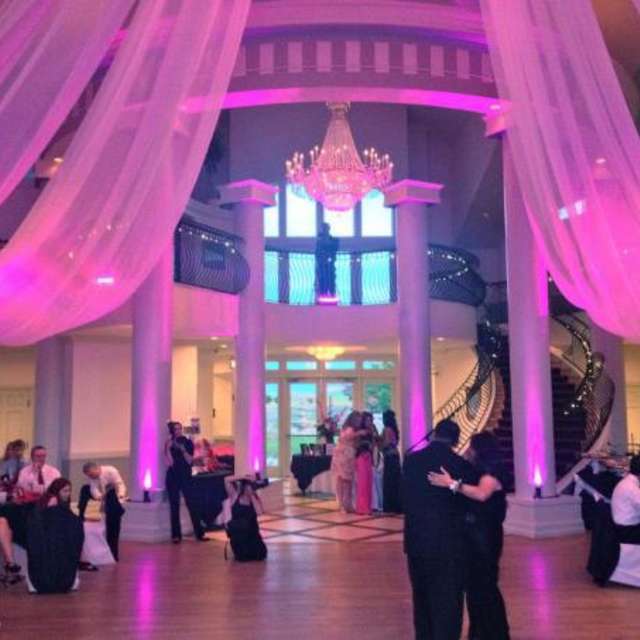 We can use lighting to accent or highlight certain and specific areas - large (such as a buffet or silent auction area or under table lighting) or small (such as centerpieces and focal points)! Whatever you want to light or highlight, the possibilities are endless! H20 Effect Lighting is an elegant color change "moving" water effect! This water-effect is the perfect elegant addition to any room - or match a theme! First Dance? Special Speaker? Royalty? Put a Spotlight and "Follow" only on them! Also available in Intelligent Lighting Packages (listed on this page).